As Seen On TV, Inc., a leading multi-platform product marketing company and online shopping destination, today announced the launch of its As Seen On TV crowdfunding platform. This first-of-its-kind platform, powered by software solution provider Launcht, Inc., reimagines crowdfunding to offer consumers direct access to the newest, most innovative products. 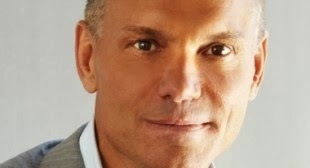 said Kevin Harrington, Chairman of As Seen On TV. James Kuenzinger, inventor of the Zinger™ Grill, met Harrington recently at an As Seen On TV sponsored event. From its inception, Kuenzinger knew his product wasn’t just a good fit for outdoorsmen and RVers; every home in America could use one. Through As Seen On TV crowdfunding, Kuezinger hopes to realize his dream of taking his campside grill and fire pit to everyone. As Seen On TV’s crowdfunding launch includes other products. The Taco Susan®, invented by Scott Bahnsen and his son Quinn, puts a new spin on taco night. Taco Susan includes a modified Lazy Susan and taco holders, cleaning up the mess of bowls and toppings commonly associated with a family taco night. The invention began as Quinn’s fifth grade science project. The Bone Mat®, invented by Allan Wendling, is a new home for the dog bone. The Bone Mat attaches to any dog bone or toy, keeping floors clean from messy bones while providing the perfect chewing angle for man’s best friend. As Seen On TV selects new products for crowdfunding campaigns lasting up to 30 days. New campaigns will be added as current campaigns expire. Consumers can review and comment on products and can support campaigns by purchasing first run products directly from the crowdfunding site. Consumer support helps each inventor get his or her product to the next level – the mass marketplace. Inventions that are successful through the As Seen on TV crowdfunding platform will be eligible for promotion through additional distribution channels, including AsSeenOnTV.com, the official online destination for As Seen On TV products, which reaches a global audience. "We are proud to be powering the As Seen on TV crowdfunding platform,"
said Freeman White, CEO of Launcht.com. "As Seen On TV is using a smart consumer driven model that blends traditional ecommerce with crowdfunding to build trust between consumers and inventors. Having worked for years on the evolution of crowdfunding from simple donations to something much more, I am glad to see As Seen on TV lead the way into new models of crowdfunding."